This was not the first time I took a jeepney, but it was my first time on my own. I was on my way to the Tarsier Sanctuary and I wasn’t quite sure when I would have to get off. 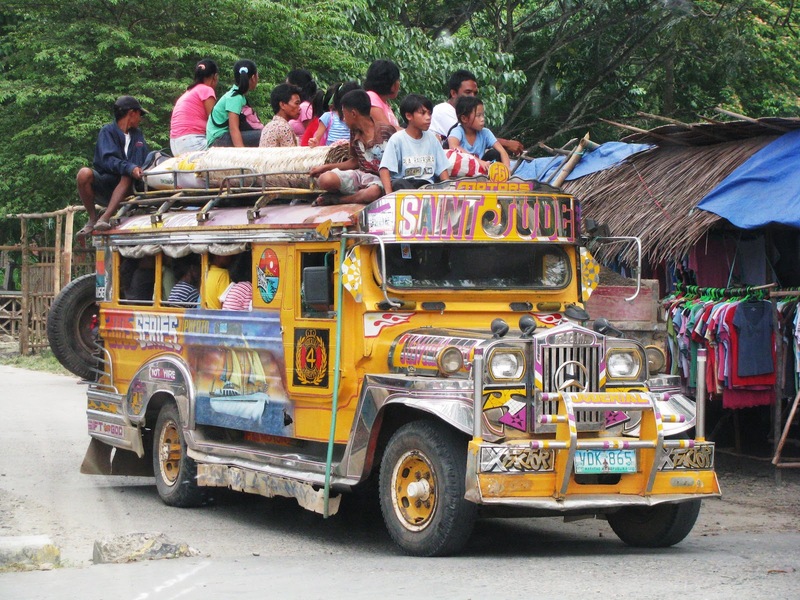 Jeepneys are a form of public transportation in the Philippines. They resemble a bus in a way, except they’re an elongated jeep with two benches. So, as I sat in this jeepney, people were mostly ignoring me. However, a young man noticed I was often looking out trying to figure out where I had to go. He asked me my destination and then told me he would let me know when it was time to get off. It seems this broke the invisible wall surrounding me and everybody started talking to me all at once. It’s not that they were not curious from the start about that solo traveler venturing in their jeepney, they were simply shy. When the young man offered me help, this opened a door for them and they all went through it. They made sure that I knew the last pick-up time from the jeepney so that I wasn’t stranded. If I did somehow miss the last jeepney, I just had to go to this place close by and look for a girl with black curly hair named Christina. If I gave her the other passenger’s name, she would help me and put me up for the night (I was fine though, don’t worry). I have seen this often in all sorts of context. It just takes one person to make a move for everyone to follow. This has helped me many times in the past. If you are interested in the public transportation in the Philippines, you can read an excellent summary here.